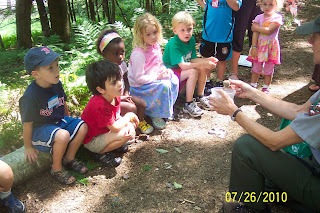 A reader has told me she temporarily forgot it was winter while reading the Upper Valley Connections summer camp blog series, so let’s take some time again to get lost in those magical days of summer camp, this week focusing on the art camps that local children are lucky to be able to have access to! Purple Crayon Productions in Woodstock is a place where children can gather year round to enjoy the visual arts and music (http://purplecrayonproductions.org). Purple Crayon will be offering a number of summer camps for kids including three where they will be partnering with the Vermont Institute of Science (VINS). Here are a sampling of options. 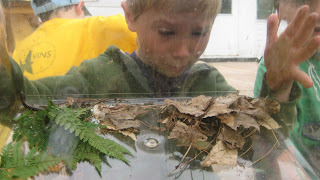 “Anybody Home” for ages four through six, has children exploring the creatures of Vermont working with naturalists and art educators. In “Circles of Life” for ages four through six children will explore the cycles in the environment such as the metamorphosis of a caterpillar to a butterfly, and the transformation of a tadpole to a frog. A camp that caught my eye was the Horse Camp, lead by Christine Orcutt and Murray Ngoima. This camp will study the art and beauty of many children’s favorite animal, the horse. This camp is for children ages five through 12, campers will paint and sculpt this beautiful animal. Young children are not the only ones who can take part in these camps. Purple Crayon also offers film camp for 14 through 18-year-olds! Registration for most camps begins in mid-March. For complete details, visit the Purple Crayon Productions website, or call 802-457-3500. Camps partnered with VINS are already open for registration on www.vinsweb.org. The AVA Gallery and Art Center is also getting ready for 35 great camps for a wide range of ages. Camps include doll making, introduction to printing, Aboriginal Art and the Didgeridoo, and cartooning, and that is just a small sampling of the creative options! “Leading the camps is a rewarding experience because you get to know each young artist and can create more customized experiences for them by the end of the week,” said Education director Adam Blue. To register for AVA camps, and for price, date, and time information, please go to http://www.avagallery.org/content/education, or by phone at 603-448-3117. AVA has scholarships available as well.